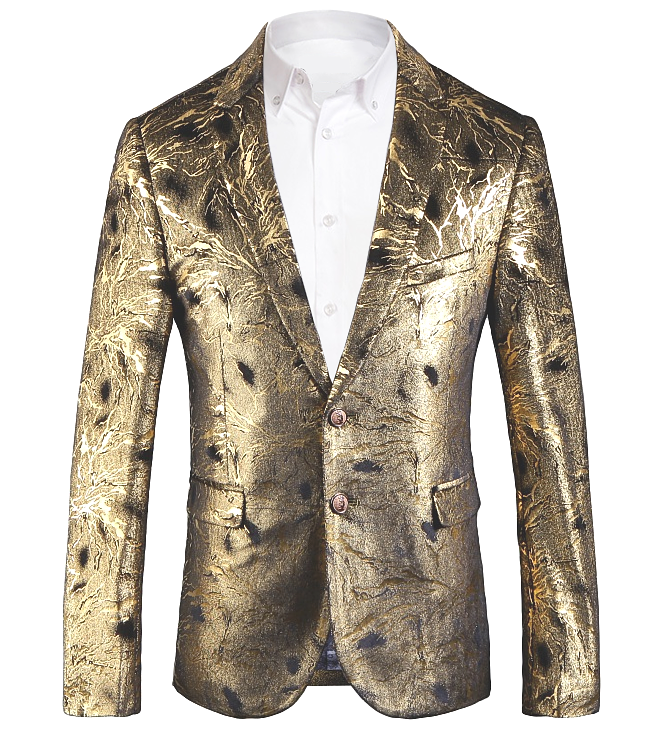 You'll love how this gold blazer makes you the most fashionable gentleman in town. 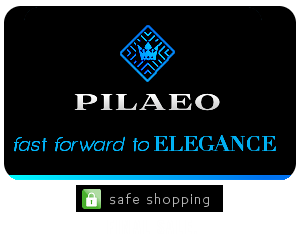 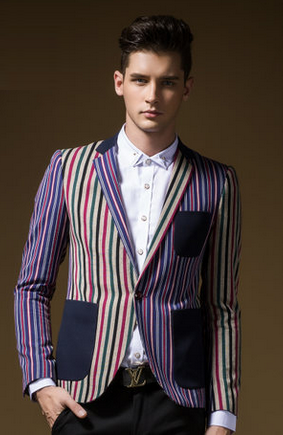 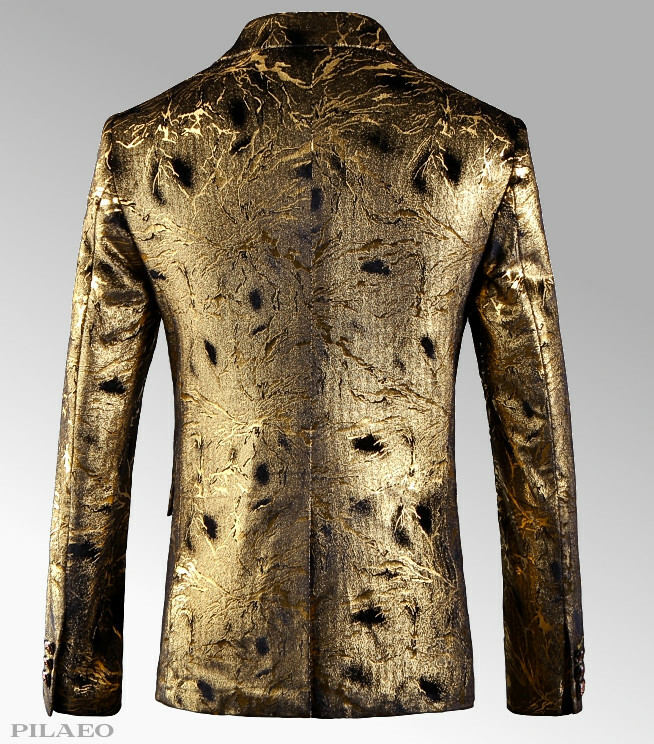 Wear this to dinners, shows, or parties for an elegant look that you can be confident to be fashion forward in. 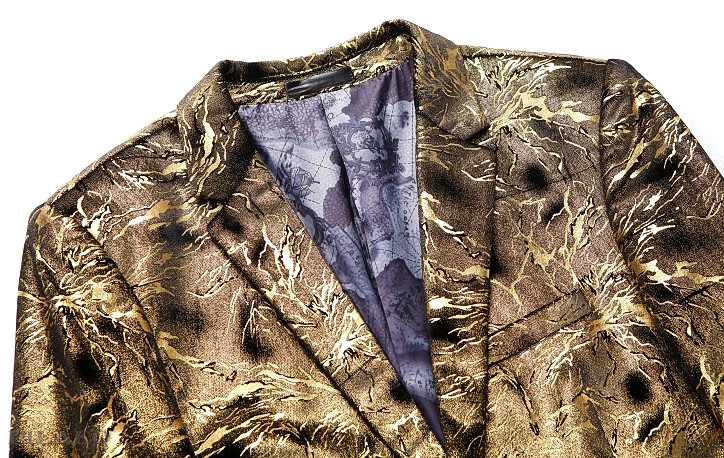 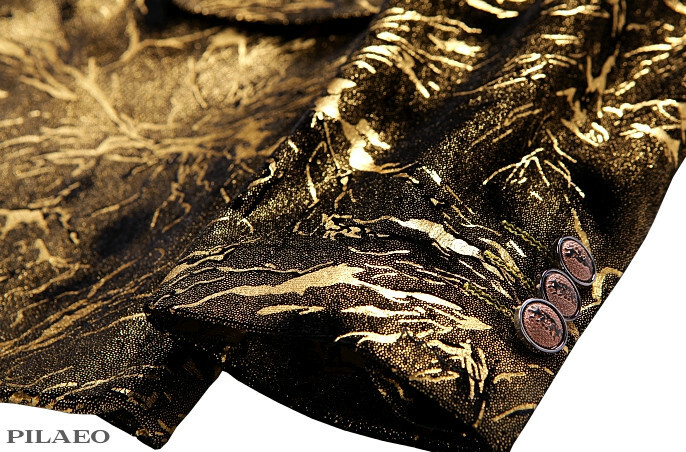 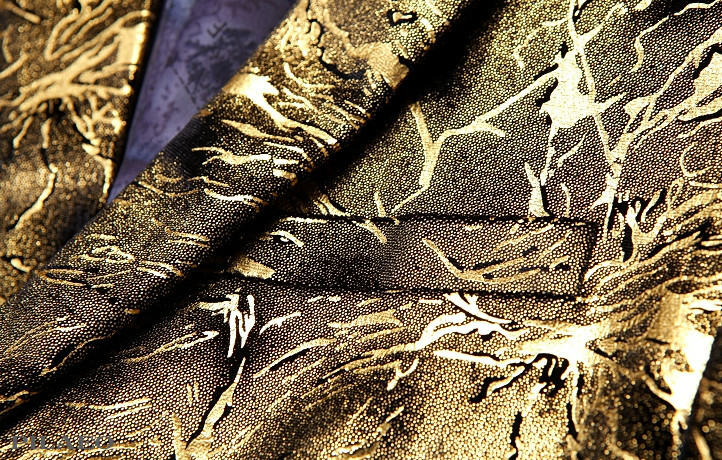 This shiny gold velvet blazer is the modern gentlemens top pick for sophisticated style. 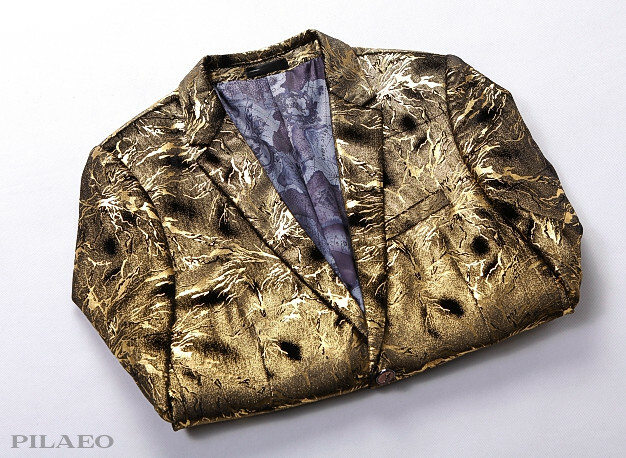 This gold blazer is available with worldwide shipping.